Despite the flurry of activity, it is important to take a moment to think about all that we are grateful for over the last year. Every Thanksgiving, as I gather with my family around the table I think about how fortunate I am to be surrounded by those who mean so much to me. 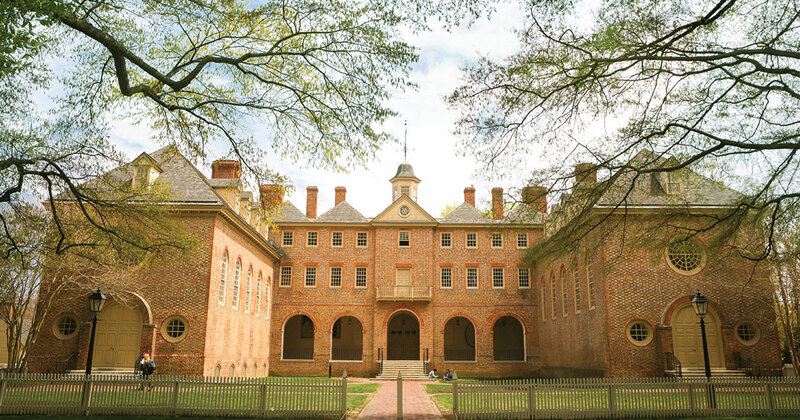 My husband, my two children and their spouses all went to the university — we are all part of the larger Tribe family — and we share many wonderful memories of our time at William & Mary, including the annual Yule Log tradition. One thing I take great comfort in knowing is that as a family, we are always there for each other, no matter where we are or what we are doing. That is what drew so many of us to the university — our tight knit community — and something that will always bond us together. It is impossible to count how many times this year that I have been in awe of all that we have collectively accomplished. It has been a remarkable year — one filled with many proud moments of achievement. With that said, I would like to unveil my top 10 list of why 2018 was a BIG year for the university. These aren't in any particular order; it's a list that we can reflect on and celebrate because we — every single one of us — have a played a role in some or all of it. W&M students are ranked the happiest in the U.S.
Of course, these are only a few of the many highlights over the past year that I am particularly proud of — and I hope you are too! Thank you for your constant support and I wish you the best this holiday season!